The family of murdered Horsham father Anthony Williams have issued a moving tribute after two men were found guilty of killing him in September last year. 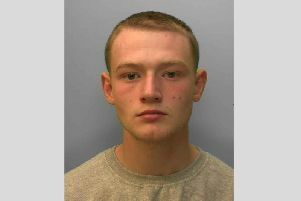 Nicholas Bridge, 18, was found guilty of murder, while Daniel Onofeghare was convicted of manslaughter. Click here to read more about the conviction today. Speaking after the verdict, Mr Williams’ family said: “As a family we have always been strong and close. The past months since September 2017 we have all been living, in what can only be described, as our worst nightmare. “Tony was kind, wise and caring. He was the first born child of five close siblings and he was a brilliant brother, attending every award evening throughout his siblings’ educations. He was a doting father of three beautiful boys, very family orientated and a loving partner. “The impact of our tremendous loss is shown through pain and anxiety throughout the family. Tears are shed on a daily basis and an overwhelming feeling of loss is felt by us all. “Our minds are on overdrive, filled with questions that may never fully be answered. Sleepless nights, constant exhaustion and feeling like we will never be okay or the same again. We have regular, nightmares as do Tony’s children. How will we explain to his three gorgeous sons how and why their father isn’t here? “Little tasks have become difficult, eating and sleeping enough seem like such a big effort. Each day we try to find even the smallest amount of light, strength and normality to get through. “Many of us can’t face going into Horsham town since that day as we cannot bare seeing where Tony spent his last moments and replaying that horrendous day. “We have been through loss in a very public way. We all have extreme feelings of not being able to trust anyone outside of the immediate family. “We look to the future with despair, how will we cope without our beloved Tony? How as a family and individual will we ever find joy again? “There will always be a void now, the space in which Tony belonged to us.